While reggae surely has it's following, here in the US it doesn't have the stronghold that it has in other parts of the world. And yet, Bob Marley and his music is as popular today as it's ever been. My kids are great examples of this... Marley died months before I even met their father but they know who he is, recognize his picture and know more than a few of his songs. I am not sure I understand that kind of cross-generational endurance. It makes me think of Elvis... though Elvis' role as a cultural phenomena, in addition to a musical one, was much broader and more clearly defined. "Bob Marley was the Third World’s first pop superstar. He was the man who introduced the world to the mystic power of reggae. He was a true rocker at heart, and as a songwriter, he brought the lyrical force of Bob Dylan, the personal charisma of John Lennon, and the essential vocal stylings of Smokey Robinson into one voice." Hmmm... maybe that has something to do with it? 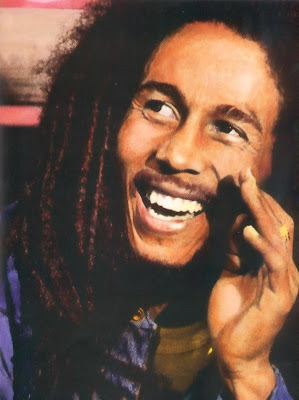 Marley's biggest hits include, ‘I Shot the Sheriff", "No Woman, No Cry", "Could You Be Loved", "Stir It Up", "Jammin", "Redemption Song", "One Love", "Three Little Birds", as well as "Buffalo Soldier" and "Iron Lion Zion", both released after his death. 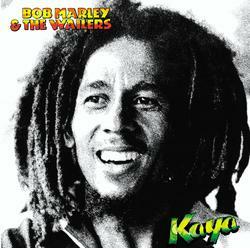 One of my favorite Bob Marley songs is "Lively Up Yourself" from his 1974 release with The Wailers, Natty Dread. My son, Peter, tried to convince me to choose "Jammin" or "Three Little Birds" to share with you since they're his favorites. What about you? Do you have a favorite Bob Marley song? love Marley. Thanks for remembering him. My favorite Marley song is "Stir It Up." Thanks for visiting on my SITS day. Come back any time. You're always welcome at my place.